High temperature materials are divided into two main categories—semi-crystalline and amorphous—based on their difference in molecular structure. Amorphous high temperature resins have a randomly ordered molecular structure which does not have a sharp melt point; instead amorphous materials soften gradually as the temperature rises. These materials change viscosity when heated, but seldom are as easy flowing as semi-crystalline materials. They are isotropic in flow, shrinking uniformly in the direction of flow and transverse to flow. 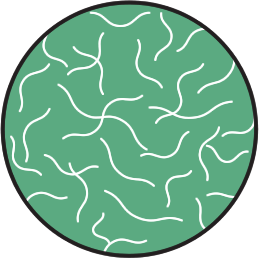 As a result, amorphous materials typically exhibit lower mold shrinkage and less tendency to warp than the semi-crystalline materials. 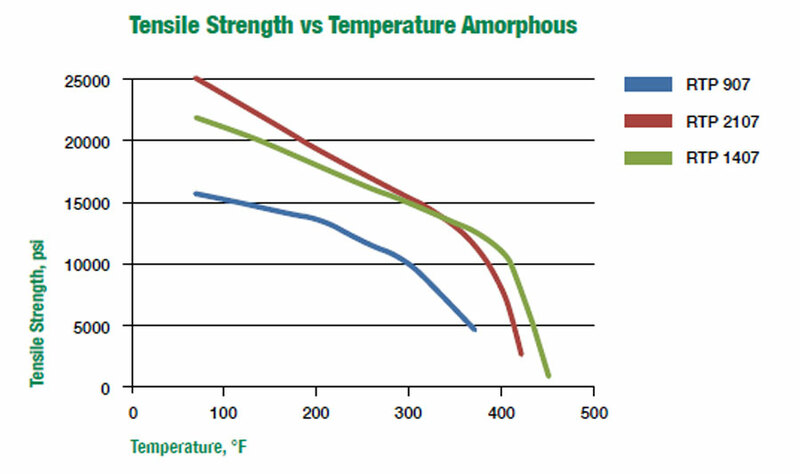 Amorphous resins lose their strength quickly above their glass transition temperature (Tg). 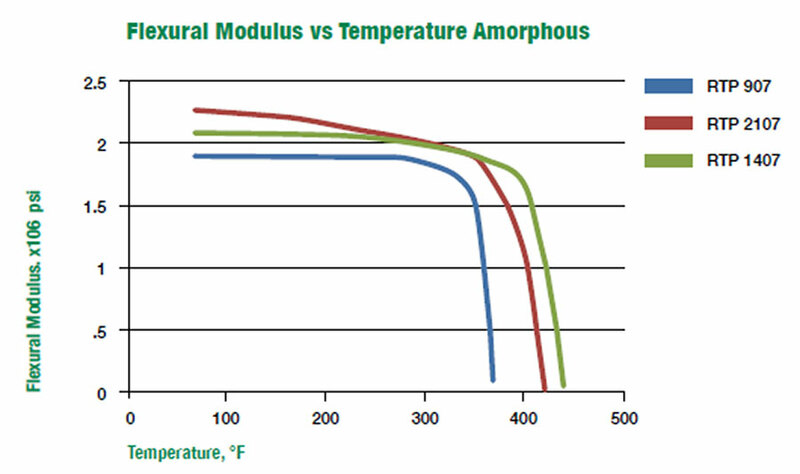 Note that the amorphous polymers have a moderate and steady loss of properties until they approach their Tg. Then they rapidly lose strength and stiffness and become incapable of carrying a load.